Your doctor has told you to lose weight…but she didn’t tell you how. Wouldn’t it be great if you could “juice” your way to a size six, without hunger, without dieting? Wouldn’t it be great to get those 9 servings of fruit and veggies in just one glass? After all, juice is just another processed food. Drinking your fruits and vegetables is a very efficient way to consume a lot of calories conveniently. Pureed foods may be prescribed for people who are unable to chew and swallow, whose medical conditions demand strategies that respect their inability to eat. Using a juicer produces what can be considered by-products of whole food. After juicing an orange, for example, what’s left is water and fructose, some minerals and vitamins in the fluid, and what’s tossed is the pulp and fiber. Myth: you can juice yourself to weight loss: Truth: Since fiber fills you up it’s ideal for weight management, and unless you’re drinking all the fiber (pulverized) you lose the benefit. 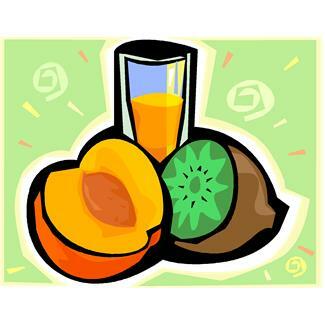 Juice is an energy-dense food. Instead of filling you up with fewer calories, juice has more calories in a smaller package, counter-intuitive to weight management. You could say that juicing is a recipe for weight gain. Myth: I can never eat enough fruits and vegetables as recommended. Truth: How much is enough? At minimum, enjoy at least three to five servings of vegetables (1 cup raw/1/2 cup cooked) and two or three servings of fruit (1 small piece/1 cup) daily. The minimum provides adequate vitamins and minerals for good health. Myth: As long as it’s fresh, I can eat all that I want. Truth: calories count. Consider how many oranges to make just one six-ounce glass of juice…depending on the size and juiciness of that orange—it could be three, four…or more. You’re getting a huge dose of fructose and calories, and research shows that beverages do not make a dent in your appetite. If you peeled and ate that orange, you’d get a bigger ‘bang for your buck’, nutritionally. Myth: Why can’t I get all the nutrition I need in those dietary supplements, capsules and powders? Truth: The front-of-the-package labeling appeals to the quest for good health with words like “immune promoting” and “antioxidants”. By drying and dehydrating fruits and vegetables into powders, you’ve processed the fiber and essential freshness out of the produce. For health and for weight management, eat whole fruit, for more energy and fiber, and you’ll feel fuller, longer. Myth: Juice fasts can detox my body. Truth: Fasting is another term for “starving”, and can at the very least be dangerous, especially if you have an underlying medical condition. Balance is best, with the right amount of produce, protein (plant and animal), and healthy fats too. Your body performs everyday miracles of chemical processes, and when you feed it well, it’s happy and keeps you healthy. Eat to fuel your engine…as if it were a Ferrari. Avoid processed foods, enjoy fresh foods, and your body will detoxify itself regularly.